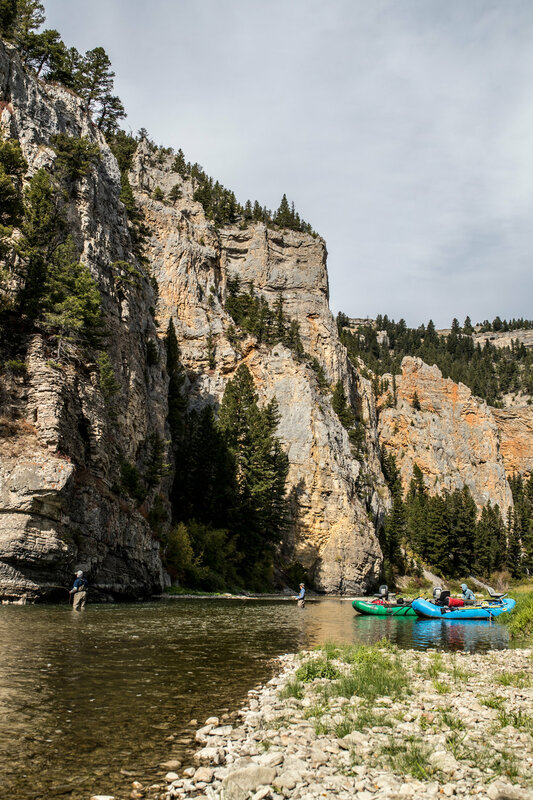 Planning a guided float trip in Montana? Fly fishing from a raft or Drift Boat can be an excellent way to spend a summer day in Montana. Just remember it’s not all about catching fish. Go on the guided trip to Learn. Not just about fly fishing. I’m sure your guide will have information unique to himself or herself. Information about the river you are floating, history of the area and even geology, something Montana is rich with. Do yourself a favor and learn some fly fishing tips and tricks too. Go on the guided trip to take in the scenery. It’s called “Big Sky Country” for a reason. Are you a birder? Like taking landscape photography? Need some quite time to just get out of the daily pace of life? A float trip is perfect for all of these things and more. Take it in. Go on the guided trip to unplug. That’s right put that phone in Airplane mode, that’s if your selected float even has cellular service. No really forget about the phone unless you are taking pictures with it. You will feel a sense of release/relief that you will not realize until after your day on the water. You will want to come back and do it again sooner. Most importantly go on the guided trip to have a day on the water. That’s it, enjoy the day on the water. The fish catching, sight seeing, birding, unplugging and learning are all a bonus. Make memories.